2 and 1/2 minute stop action video of team Pika 4X from Santa Clarita to Trona. Pika 4X 2012 Furnace Creek 508 from Cathy Cramer on Vimeo. Jason Lane and Claudio Clarindo rolling up Cuchara Pass this morning. Jason looks pretty good for a guy that got hit by a car in Arizona a couple of days ago. Sorry for my hand covering part of the lens while Claudio rides by. Here’s a video of Kurt Searvogel (Tarzan Rides) about 2 miles from the summit of Cuchara Pass this morning. 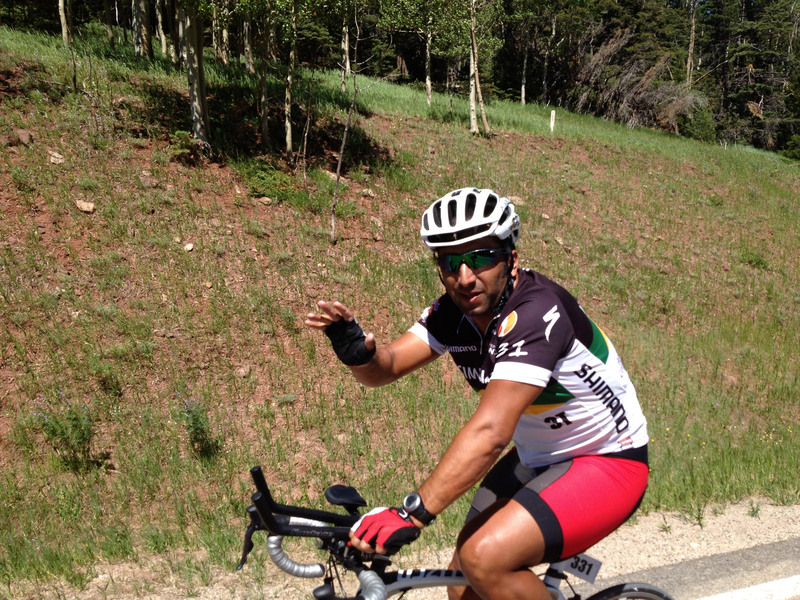 It was good to see Kurt happily pedaling up the mountain and meet some of his crew!